MCS Industries is the U.S. market leader for wall and poster frames. 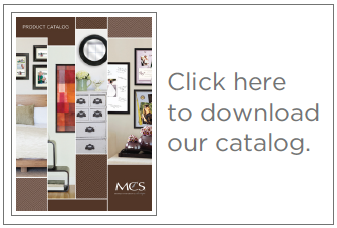 Founded in 1980 and headquartered in Easton, Pennsylvania, MCS is the premier full-line supplier of tabletop frames, albums and scrapbooks, mirrors, wall décor and art-print products. With our depth of experience and broad product line, MCS has grown to be the supplier of choice to North America’s largest retail chains serving the mass market, hobby and craft, office products, photo and specialty channels. Our company uses a vertical, integrated manufacturing process and is unique to the industry as a world class manufacturer with owned factories in the United States, Mexico and China. MCS believes industry leadership comes from superior product design, product integrity, customer service and manufacturing expertise, global expansion and robotics. The MCS design group is a talented and experienced team, delivering unique products tailored to match each customer’s requirements and markets. We work closely with our valued customers to provide an exciting and broad line of tabletop and wall frames. The line includes many unique collections in a wide variety of sizes, styles and customer price points. The MCS design initiative is an ongoing program dedicated to delivering new and distinctive frames and wall décor, photo albums and scrapbooks. MCS is prepared to be your supplier offering a full range of styles, sizes and trend-right products.